fifteen agency- or system-level implementation objectives (how we will measure our successful implementation of our strategies). 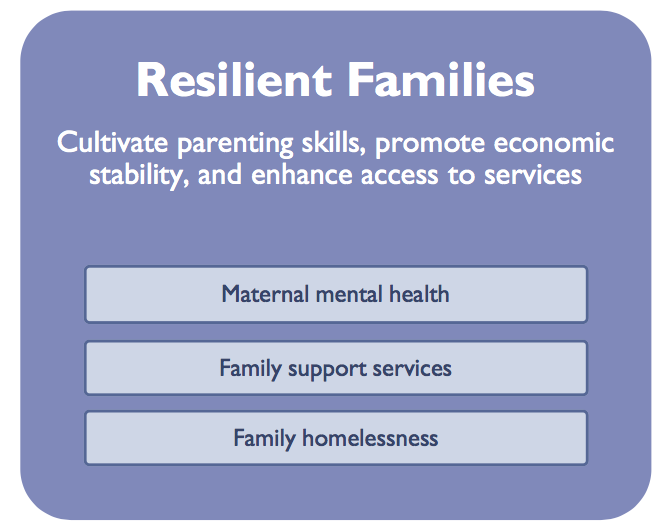 The three goals capture the long-term vision of First 5 Orange County: Resilient Families, Quality Early Learning, and Comprehensive Health and Development. 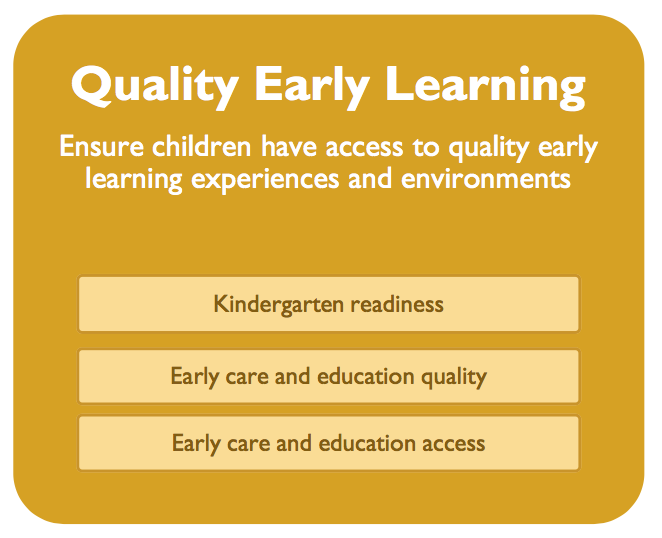 The goals also intentionally align with the Orange County Early Childhood Policy Framework (ECPF). The ECPF collaborative – known as Early Childhood OC – is a coalition of public, private, and nonprofit agencies and individuals that work onchildren’s health, early learning, and family support. 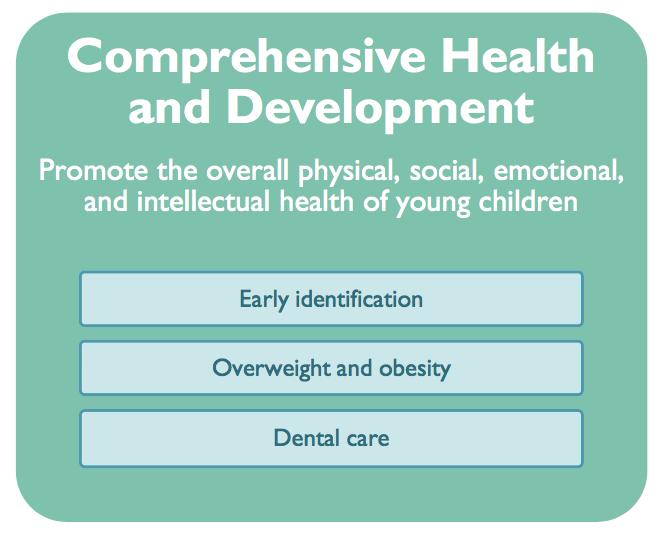 The collaborative developed the ECPF to leverage the work that its members are already doing to benefit young children by aligning policies and goals across all sectors, improving communication and coordination, identifying strengths, and addressing gaps. In aligning goals with the ECPF, First 5 Orange County signalsits support for the collaborative’s goal for the ECPF to be embedded in the policies, strategies, and activities of organizations across Orange County, such that every sector in Orange County will be an advocate for young children. The headline objectives selected for each goal enable transparent tracking and reporting of population-level impact. The nine selected objectives (three for each goal) serve as proxies for measuring progress on the goal. They were selected because they represent important drivers for improving outcomes; they are relevant to priority initiatives for First 5 Orange County, as well as with actors across the early childhood system, and; there are data available to enable tracking progress. Alternative objectives, which were in some cases preferred, were identified during the planning process; however, these objectives were not selected due to a lack of data for measurement. Instead, these objectives populate our Data Agenda and are listed in a sidebar in their relevant goal area. Subscribe to our email list to get the latest news and updates delivered to your inbox!